Enjoy fabulous views of the Bay, Davis Islands and Downtown Tampa from the well thought out, redesigned floor plan of these city homes in Harbour House condominiums. Close to South Tampa and Bayshore Blvd. Prestigious Harbour House has a grand New York style lobby with a 24/hour doorman and covered parking. There is a very large swimming pool, social room with a full kitchen, extra storage, and in house management. 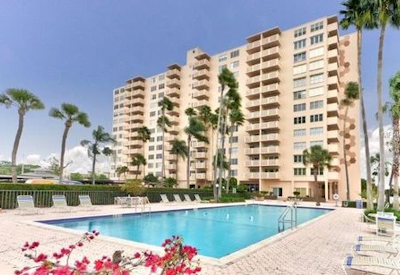 Located on lovely Bayshore Boulevard at the intersection with South Howard Avenue and Harbour House of Tampa. Convenient location that is close to downtown and walking distance to Soho and Hyde Park. Also very close to area malls, the airport, sporting events and entertainment venues. On the corner or Bayshore and Howard, so you can walk or jog on Bayshore Boulevard any time. The high-rise condominium property houses 120 residents and most of the units have one or two bedrooms. The condominiums feature an elevator, a laundry facility, security and storage facilities.